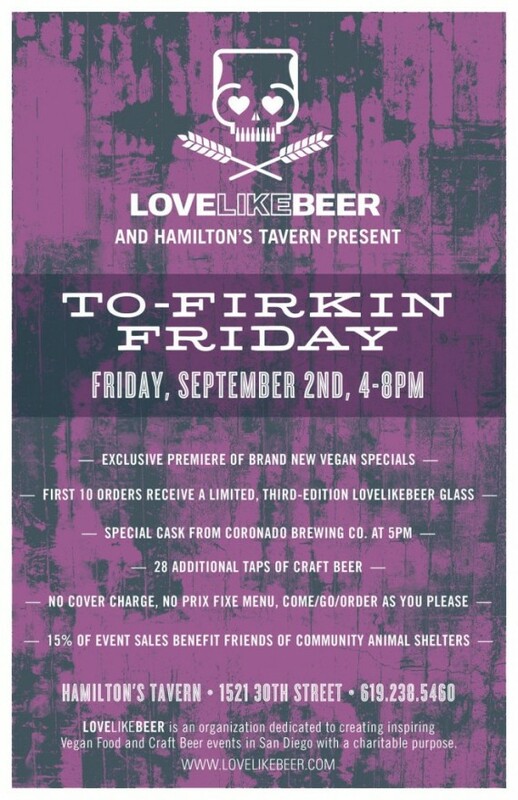 quarrygirl.com » Blog Archive » don’t miss it: to-firkin friday on september 2nd! LOVELIKEBEER is an awesome san diego based group (i really wish they were up here in LA!) that organizes vegan beer dinners at some of the best bars in town, and donations a portion of the proceeds to charity. i’ve always wanted to attend one of their events, but they’re usually on weeknights and so far away. well LA, now is your chance to get in on the action. leave work early friday and spend one of the last weekends of summer in beachy san diego with some craft beer and awesome vegan food. for more info, check LOVELIKEBEER‘s website! Have fun, people who go to this!